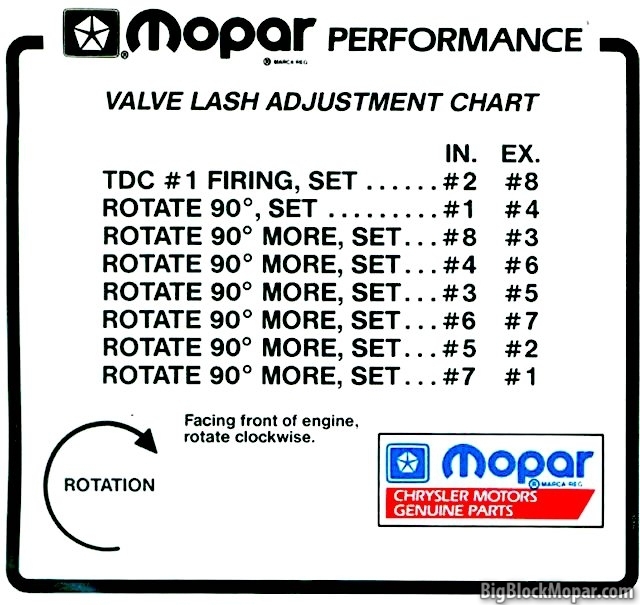 The following valve lash/preload adjustment chart is based on the original Mopar Performance valve adjustment chart as found in the Mopar Performance Enginebuild manual(s). Hydraulic camshafts, when used with adjustable rockers, require ‘Preload’. Usually measured in extra (part) rotation turns of the adjuster where the lifter is preloaded to about halfway its travel. 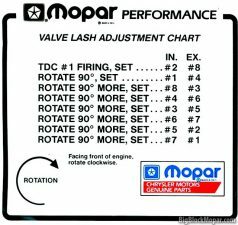 Mechanical or ‘solid’ camshafts require ‘valve lash’ (play) to compensate for heat-growth of engine and components. Always measured in hundreds or thousands of inches. 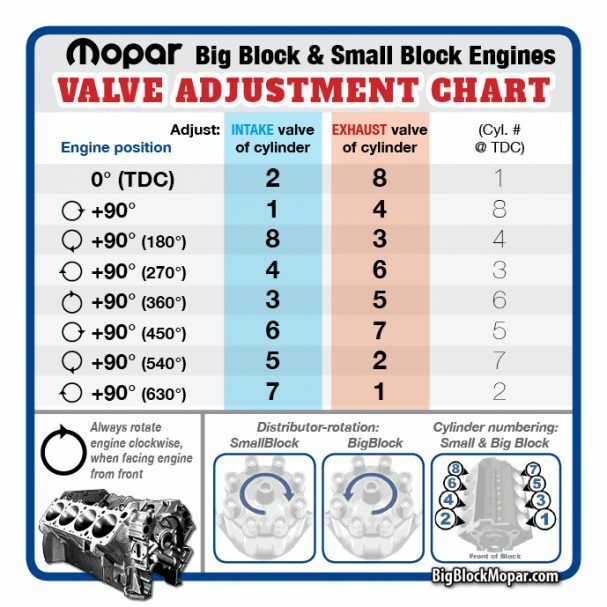 Different engine-combinations (iron block & heads – iron block w/alum. heads – alum. block with alum. heads) require different variations of the required lash, as iron and aluminium have different expantion rates and the valve lash needs to be extra adjusted for that. Consult the camshaft manufacturer for more information.